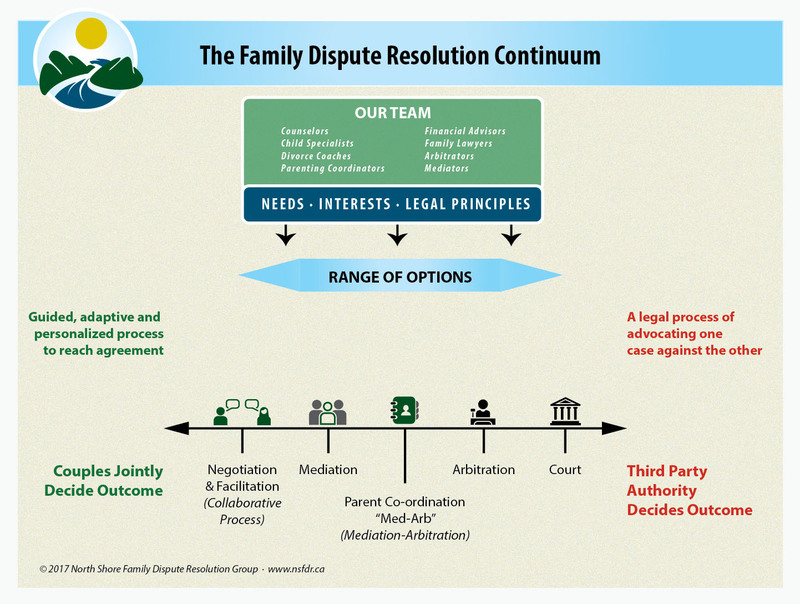 Dispute Resolution falls on a continuum and there are various ways that couples resolve their differences. Each family is unique and you can decide which process, or combination of professionals will work best for your family. For example, if you or your children need emotional support, a mental health professional may be able to help. If you want a parenting plan, need help to decide on support or division of assets, a family law mediator, lawyer and or a financial expert may be able to assist.